Every year, the IRS and state and city taxing authorities issue thousands of tax deficiency notices, tax lien notices and tax levy notices for unpaid taxes. One recent news story reported that federal government employees alone owe more than three billion to the IRS in back taxes. Therefore, you are not alone. Many taxpayers get behind in taxes. For individuals, maybe it was because they went through a divorce, suffered a health problem or lost their job. Businesses also get behind in income taxes or fail to pay employment taxes. Some individuals and businesses just stop filing tax returns altogether because the problem is so overwhelming they do not know where to start. Failing to file tax returns or ignoring the IRS, state or city taxing authority is not the answer. These agencies have statutory power to collect back taxes. In fact, the IRS and many states and cities, have increased efforts to collect unpaid taxes. If you continue to ignore a tax problem, the IRS, state or city taxing authority can levy against your bank account and wages and even file tax liens against your property. Ignoring a tax problem is not the way to resolve it. Even worse, interest and penalties continue to be added to the unpaid tax debt. If you are one of the many taxpayers facing a tax debt problem, you have come to the right place to begin resolving your problem. There is a better way. Instead of ignoring the tax problem, let us help you fix the tax problem. We can help you take the steps that will bring you into compliance with the tax laws and will work with the IRS, state or city taxing authority on your behalf to resolve your tax problems. Below are several options for settling back taxes owed to the IRS. There are also many options for settling back taxes owed to the State of Ohio or city taxing authority. We will evaluate your tax and financial situation and work with you to choose an option that works best in your situation. Brunsdon Law Firm is not just another tax debt settlement company. Our attorney, Terri Brunsdon, is also a Certified Public Accountant with a Masters in Tax and will meet with you personally to fully analyze your situation. Terri will review options available for settling your taxes and also look for opportunities to abate penalties or eliminate taxes owed due to expiration of the collection statute of limitation. WHAT ARE SOME OF THE TAX DEBT SETTLEMENT OPTIONS AVAILABLE TO ME OR MY BUSINESS? Offer In Compromise: With an offer in compromise, you offer to settle all back taxes in full for a reduced amount by submitting a proposal to the taxing agency. The IRS and many states, including Ohio, provide this option. The process of submitting an application is complex and acceptance of any offer will be based on your ability to pay. So how do we help? Before filing an offer in compromise, we prepare any back tax returns so that your account is current and in compliance with the tax laws. Next, we assist you in gathering financial information. Finally, we prepare the offer application and submit it to the taxing authority. Remember that acceptance of an offer in compromise will be based on your ability to pay and other factors. Therefore, it is important to present an offer that considers every financial allowance permitted under the law. Currently Not Collectible: This is an IRS option that exists for those taxpayers who may be currently experiencing a financial hardship, but do not qualify for an offer in compromise. We first prepare and file any unfiled tax returns to bring you into compliance with the tax laws. 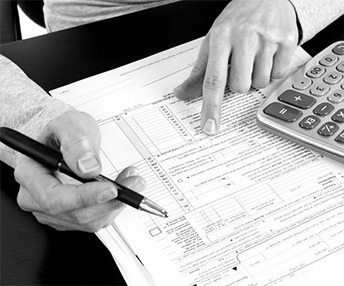 We then assist you in gathering financial information for review by IRS authorities. When submitting financial information, it is important to include all expense allowances permitted under the law because this will affect your ability to be placed into currently not collectible status. If the IRS qualifies you as currently not collectible, all collection enforcement action immediately ceases and remains so while the account stays uncollectible. However, interest on any unpaid taxes continues to accrue and the IRS periodically reviews your account to see if you remain qualified for this status. If you stop qualifying for currently not collectible status, the IRS will notify you that collection activities will resume; however, by that time the statute of limitation for collection may be ready to expire. Installment Agreement: If you do not qualify for one of the above options, but cannot pay your tax in full, then an Installment Agreement may be the option for you. This is available from the IRS, State of Ohio and city taxing agencies. Depending on the amount of back taxes owed, you may be required to submit financial information before setting up a plan. We can help with this process. Innocent Spouse Relief: Whenever you sign a joint tax return with a spouse, the taxing authority considers both spouses to be liable for any unpaid taxes on that return. However, what if one spouse fails to report income while the other spouse has no knowledge of that income? Alternatively, what if one spouse claims that the taxes on a return have been paid while the other spouse has no reason to know that the taxes were not paid? In these situations, the innocent spouse (the spouse without knowledge) may submit an innocent spouse claim to the IRS and request that they be separated from the liability. Neglecting or ignoring a tax problem can only lead to more interest and penalties. It can also result in a tax levy, tax lien or court action. A tax problem will not go away on its own. In fact, in most cases, a tax problem will not go away in bankruptcy, especially if you have never filed the returns. Take that first step towards putting your tax problem behind you. Contact Brunsdon Law Firm and work with Terri Brunsdon, an attorney and a CPA with a Masters in Tax, to resolve your tax problem. Whether it is an individual tax problem or a business tax problem, get started now picking up the phone and calling 330.374.1166. You can also request a call from us by emailing [email protected]. If emailing, do not include any details on your case to protect your confidentiality.